Will Foxconn Steal Wisconsin’s Intellectual Property? Fuzzy contracts and poor transparency could let the company exploit researchers at the University of Wisconsin–Madison. In 2017, the Taiwanese electronics company Foxconn promised the state of Wisconsin 13,000 jobs, many of them in manufacturing, in return for what now amounts to a $4 billion subsidy: the largest in US history. It now seems unlikely that Foxconn will make good on its pledge, especially for blue-collar jobs. Having already downsized the expected plant once, Foxconn told Reuters last week the factory project was off and then denied this days later in a statement. The statement also mentioned “expand[ing] our investment in American talent in Wisconsin.” On that front, the company has been active: Foxconn has been integrating itself into the revenue-desperate state-university system for years. Now, university students worry that the intellectual property that comes out of their hard work might end up in the pockets of the corporate behemoth. In August, the company announced a $100 million research institution at the University of Wisconsin–Madison’s engineering graduate school, the largest private partnership in school history. 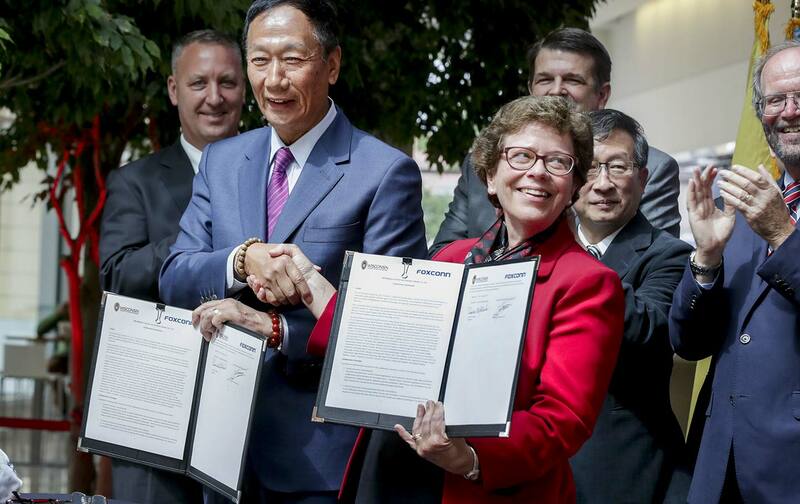 The investment will refit a university building for the Foxconn Institute for Research in Science and Technology (FIRST), where research will span everything from biochips and supercomputing to robotics and artificial intelligence. The company has already built a substantial recruitment presence on campus, said Sonali Gupta, a biophysics graduate student, including career-fair days reserved for Foxconn. She and others fear the company will exploit research done at the public university for its own profit at the expense of academic freedom for professors and their graduate students. As is, the deal provides few clear-cut protections for the intellectual property or publishing rights of UW-Madison faculty, researchers, and students regarding discoveries or techniques that emerge from the new institute. Instead, the document, which is not binding, describes three categories of projected research at the institute. One type of research will produce intellectual property reserved for the university, and another type will produce it for the company. A third category of research, which concerns “developed value” from the institute, will produce intellectual property of uncertain status. Ownership will be negotiated between Foxconn and the university. The document omits both the process for determining how research is categorized and who will be doing the negotiating for the university. University spokesman John Lucas wrote in an e-mail that the agreement contains “no restrictions on rights to publish.” The concern, though, regards the absence of protections for the school. “Without clear and detailed guardrails and governance, people might reasonably worry that this deal will turn parts of UW into a contract shop for a particular partner,” said Jason Owen-Smith, a University of Michigan sociology professor. At stake is the core duty of any public university: to conduct free and open academic inquiry that serves society. Feeding research and resources to a trillion-dollar corporation flies in the face of this mandate. In a December resolution, UW-Madison’s graduate-student union condemned the process as intentionally opaque. The agreement omits many details about the institute under the claim of confidentiality, and graduate students contend that they have no sense of ongoing negotiations between the university and Foxconn. “There is a complete lack of transparency,” Gupta said. She and other union members are organizing resistance to the deal; they fear the company will exploit the ambiguity to claim intellectual-property rights to research not strictly reserved for the university. “Nothing in the agreement supersedes the university’s existing policies and protections for faculty or student research,” Lucas wrote. But the deal already skirts standard practice at UW-Madison. Ordinarily, the Wisconsin Alumni Research Foundation (WARF), an intellectual-property-management organization, determines which aspects of a new discovery or technique belong to which party: whether the researcher, the university, or an outside entity. WARF-generated patents bring in more than $100 million annually to UW-Madison. WARF presumes that researchers own their intellectual property. When other obligations exist, the organization ensures its determinations are written into contractual agreements. A WARF spokesperson said the organization was consulted but not included in the agreement—and thus will not oversee the intellectual property at FIRST. What’s more, WARF is known as a strong guard of IP rights in academia, according to Owen-Smith, who called its absence in these negotiations “strange.” The agreement also mentions “cost sharing” of new faculty and work-for-hire researchers partly funded by Foxconn. The institute director—a company employee—would have a faculty position. “If a faculty member is reliant for 50 percent of his or her income on corporate goodwill and on the continuing of the contractual relationship between the institution and the corporation, the faculty member is probably not going to be great at standing up for his or her rights,” said Cary Nelson, a professor at University of Illinois, who has written extensively on academic-rights issues. Academic work supported by outside funding is not exploitative in every instance. Federal grants fund labs and projects across the country, and Owen-Smith pointed to MIT’s media lab as healthy corporate sponsorship. But these arrangements need to be done right, and the Wisconsin deal risks mixed loyalties and conflicts of interest, Nelson said. He noted other instances of inappropriate corporate academic influence, including BP PLC’s attempt to censure research at Gulf Coast universities and a deal at the University of California–Berkley that allowed Novartis exclusive access to research and licensing. “There’s been a trend of corporations trying to nail down IP and proprietary rights as aggressively as they can,” Nelson said. Given the absence of WARF legal protections, faculty dependence on Foxconn’s goodwill, and the ambiguous process of negotiating intellectual property, the Foxconn institute needs stronger protections to avoid this trend. 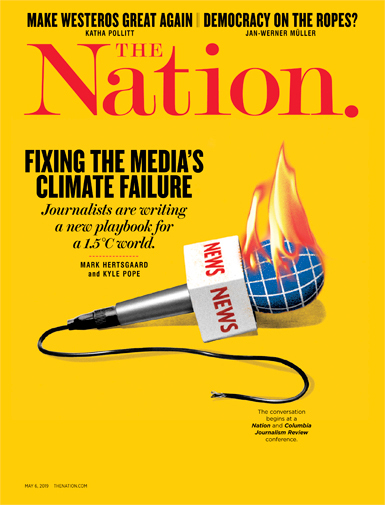 Without them, Nelson predicts, the slide towards corporate interests will accelerate. “I would regard this as a highly aggressive contract,” he said. Consider a faculty member who becomes reliant on Foxconn for lab funding: Where would that leave graduate students, who subsist on minimal stipends, dependent on professors for research opportunities, lab placement, and letters of recommendation? Apoorv Saraogee is a PhD student in chemical and biological engineering. His adviser—and sole funding source—is in the engineering school. Saraogee fears a scenario where his adviser becomes answerable to Foxconn. The concern is more than academic. Saraogee and some of his peers say Foxconn’s reputation drives their opposition to the institute. They mentioned the corporation’s inevitable association with Scott Walker, their poor environmental record, and especially the suicides. In 2010, at least 14 workers jumped to their deaths at Chinese Foxconn factories due to inhumane conditions—and the company responded by putting up nets. The international outcry was loud but brief, and these plants still produce many of the world’s iPhones. Chinese Foxconn factory workers have gone in strike several times since, as recently as December 2018. A recent report from China Labor Watch detailed ongoing exploitative practices. Roychowdhury called engineering “a more corporate field,” where students may be less inclined to join political protests or labor movements. Indeed, Saraogee, the chemical and bioengineering student, said the intellectual-property concerns first grabbed his attention. Only then did he consider the political and ethical questions. “There’s a lot of work to be done to engage engineering students,” he said. Next up for the organizers are demonstrations at the February meeting of the university’s board of regents—which Walker packed with conservative hard-liners after losing reelection. They plan to protest Foxconn’s presence at future career fairs, while recruiting other students and Madison residents to the cause. There is a grim necessity in UW-Madison’s association with Foxconn. Walker gave the corporation billions in state tax money while gleefully slashing education funding. Absent the public dollars, the university system turned to the recipient of the state funds it was due. This shift is nothing new. Faced with this reality, public-university administrators across the country hike tuition—driving the student debt crisis—while becoming increasingly reliant on outside funding. Public institutions become privatized as corporate logic undercuts academic obligations of serving society, maintaining expertise, and educating young people. Roychowdhury and other graduate students say the deal betrays what’s known as the “Wisconsin Idea” :the university’s philosophy, established more than a century ago, that public education should benefit public good. Nick BowlinNick Bowlin is a journalist based in Washington, D.C.